save $500 on our new vespa primavera 125 iget! 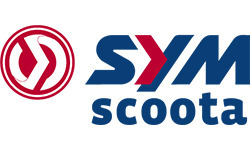 used scooter sale on now! SAVE $500 ON A NEW APRILIA SR 300 MAX! 3 YEARS 0% FINANCE ON NEW SCOOTERS AND MOPEDS! VESPA, PIAGGIO AND APRILIA MANUFACTURER SALE! Vespa Sei Giorni has arrived! Airoh storm helmets - Save $50 whilst stock lasts! Big Autumn Sale extended until April 30th! Spare parts and accesories sales person. NEW 2017 VESPA & PIAGGIO MODELS LAUNCHED!